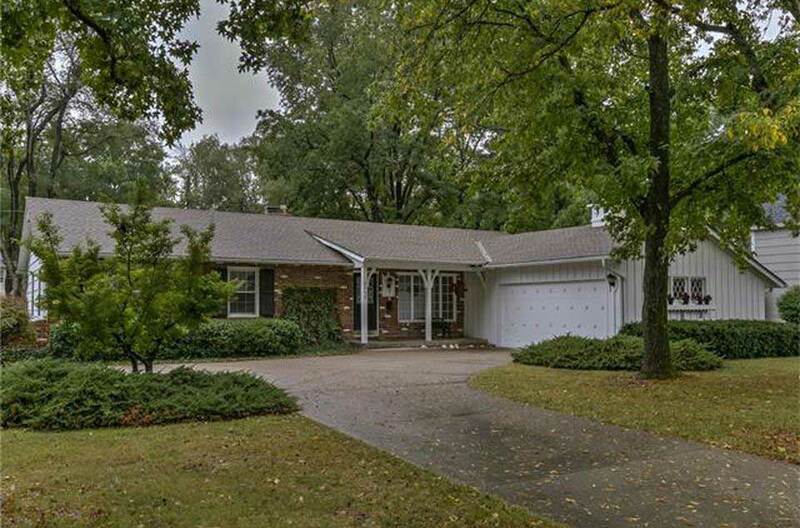 Ranch House in Nall Hills! Great location, near schools, shops, and dining, close to I-435 and US-69 for easy commute. This one owner home is ready for your finishing touches. Selling AS IS, but mechanical items are up to date. HVAC, Jan 2015. Roof, Apr 2011. Gutters, Jun 2014. Foundation & Sump Pump, May 2017. House features large windows and original oak floors in living areas and bedrooms on main level. Family Room on L1 features a wonderful barrel fireplace with gas starter,built-ins, and walks out to back patio. Eat-In Kitchen, adjoining the Family Room, has lots of cabinet and counter space. All bedrooms have big closets. Basement is partially finished, with 2nd Family Room (pool table stays), Half Bath, sleeping area, and Laundry Room, has inside entrance and exterior entrance from side yard. 2 car garage is side entry. Ready to Renovate! !